Our plumbers have the experience to handle all your plumbing needs. Slow drains? We can unclog any drain, guaranteed! Don't Dig! Save your yard with trenchless technology. Find leaks efficiently with industry leading leak detection equipment. 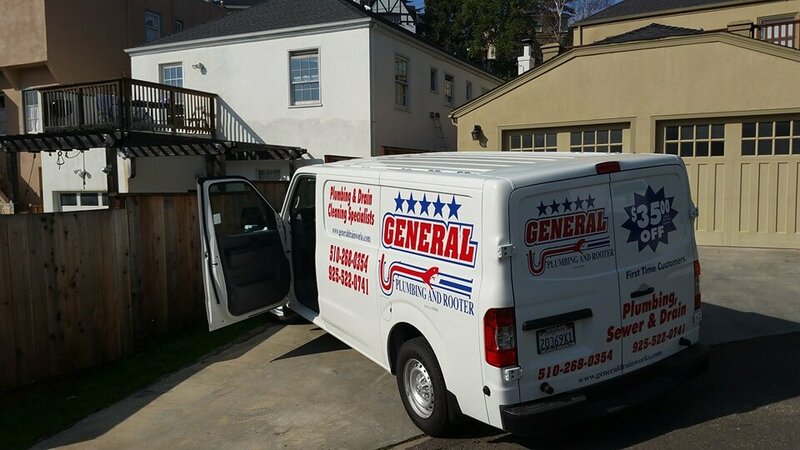 For more than 10 years, General Plumbing and Rooter has provided expert sewer and drain services to Northern California residents throughout Contra Costa County and Alameda County. 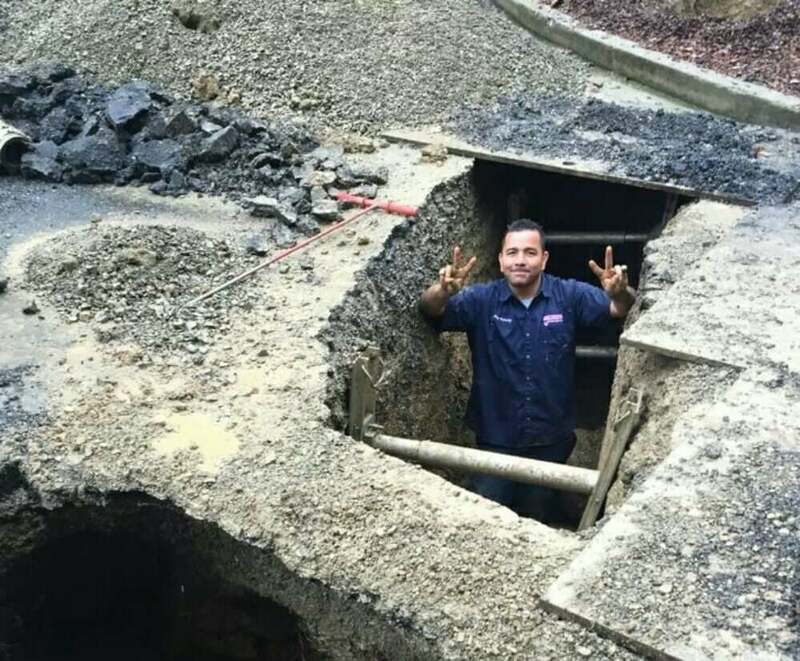 Since 2005, our highly trained industry professionals always provide your Bay Area sewer and drain system with exceptional services you can count on. Whether you need a routine drain cleaning or pipe replacement, our team will service you with professionalism and efficiency. 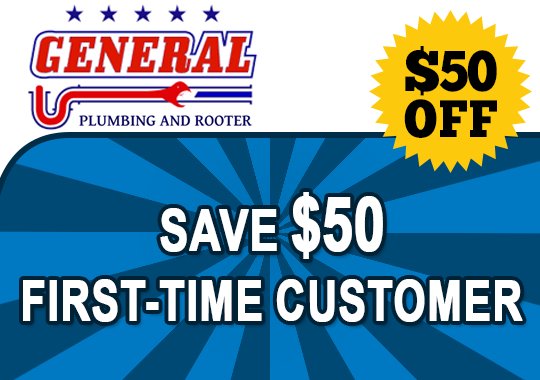 At General Plumbing and Rooter, we hire exceptional plumbers who conduct top quality services that meet your residential or commercial needs. It is our goal to offer exceptional customer service that sets us apart from other Bay Area plumbers. We service residential properties like apartments, condominiums, townhomes, duplexes, manufactured homes, single family homes, modular homes, and senior living communities. Additionally, we service commercial properties such as grocery stores, indoor and outdoor shopping malls, sports facilities, office buildings, restaurants, cafes, industrial facilities, city buildings, and more. If you are experiencing sewer and drain issues and need a service performed on your pipes, call us today to speak to one of our knowledgeable associates to discuss estimates and what services will best meet your needs. We provide free estimates to our Contra Costa County and Alameda County residents. Don’t suffer through troublesome plumbing problems when our team is here to ensure that your home or business is taken care of properly. In the past, sewer and drain problems have been viewed negatively due to the time it takes to solve pipe problems and the damaged that was sometimes caused during the process. 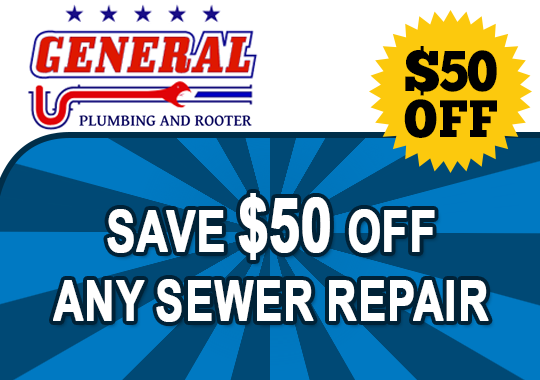 Our team at General Plumbing and Rooter only uses safe, environmentally-friendly, and affordable methods of sewer and drain inspection, cleaning, repair, and replacement. Trenchless technologies have also eliminated unnecessary damage to your property. We perform trenchless sewer camera inspections and drain cleaning services. If you are considering DIY methods of drain cleaning, call your local East Bay plumbing professionals instead. It is difficult to solve a problem that you cannot visible see within your system. DIY methods of drain cleaning are often harmful to your pipes and do not solve the problem occurring within your pipe system. Instead, cleaning your pipes on your own allows your pipe problems to become worse leaving you with costly repairs and replacements in the future. The only viable solution to your pipe problems is to seek professional assistance. Our team does all of the work for you with zero hassle. One of the most common reasons to call a plumber to service your Contra Costa County pipes is for plumbing repair or maintenance services. At General Plumbing and Rooter, our services include inspection, cleaning, repair, and replacement. The majority of pipes are built to last, but with constant use and age comes problems that need to be restored and repaired efficiently. Your pipes work tirelessly to allow you to perform everyday tasks like wash the dishes, take a shower, flush the toilet, water your landscape, and more. The smallest problem such as a slow flushing drain can indicate a deeper issue within your pipeline or system as a whole. When problems occur, it is essential for you to be able to call a plumber that can service your pipes in a timely manner. Sewer and drain problems are not always planned and can be particularly stressful in situations where you need emergency services. We understand the urgency that comes along with emergency plumbing problems which is why we offer emergency inspection, cleaning, repair, and replacements services to all of our customers. 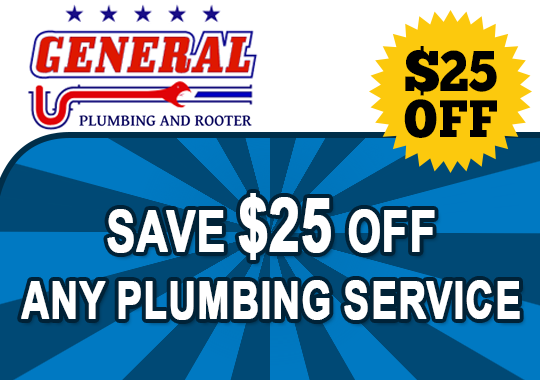 Our plumbers at General Plumbing and Rooter are available 24/7 to service your Contra Costa County home or business. We service the cities in Contra Costa County such as Antioch, Brentwood, Clayton, Concord, Danville, El Cerrito, Hercules, Lafayette, Martinez, Moraga, Oakley, Orinda, Pinole, Pittsburg, Pleasant Hill, Richmond, San Pablo, San Ramon, Walnut Creek, and El Sobrante. In addition, we offer same day services and regular maintenance services such as pipe inspection and drain cleaning that will allow you to stay proactive about your pipe health and prevent emergency situations from occurring. When you are experiencing plumbing problems, it can be extremely stressful which is why you should work with an accredited company that you can trust in to get the job done right. 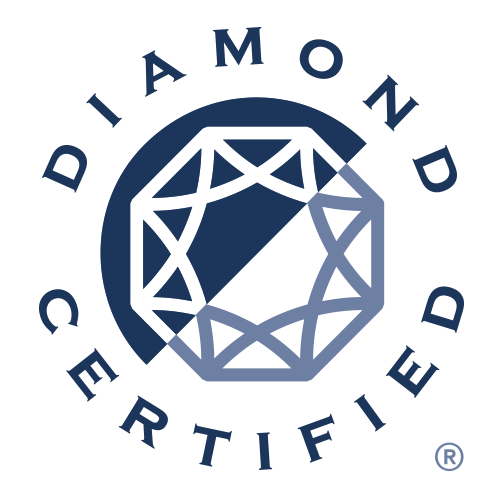 In addition to our team of professional technicians, we are a Diamond Certified company that has an A+ rating with the Better Business Bureau (BBB). Our skills range far beyond our competitors, and we will always take care of your property with respect and precision. We believe that all of our customers should be able to understand what is happening within their pipe system as well as feel financially comfortable with the price of the services they need. We offer financing to our customers which means you can give us a call to speak to one of our informative associates to see what we can do for you. 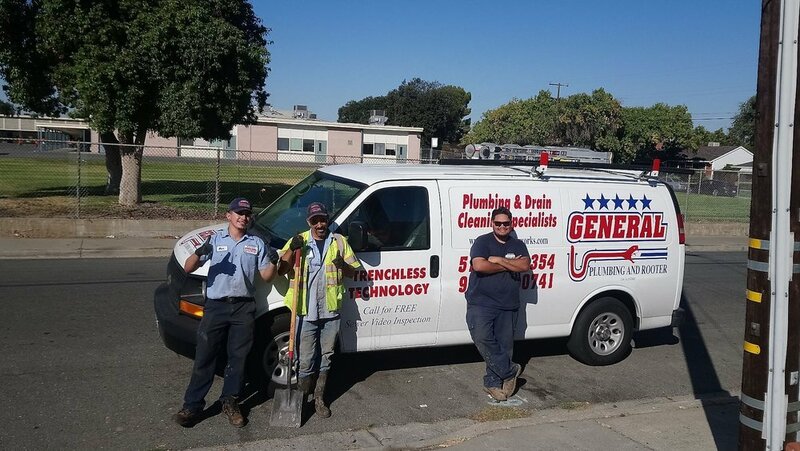 At General Plumbing and Rooter, we pride ourselves on providing Contra Costa County and Alameda County home and business owners with high-quality services they can trust in. We service cities in Alameda County including Alameda, Berkeley, Castro Valley, Dublin, Emeryville, Fremont, Piedmont, Pleasanton, Livermore, San Leandro, and San Lorenzo. We are always standing by and ready to assist you. Pipe inspection, cleaning, repair, and replacement are all essential service your property needs whether your system is new or old. 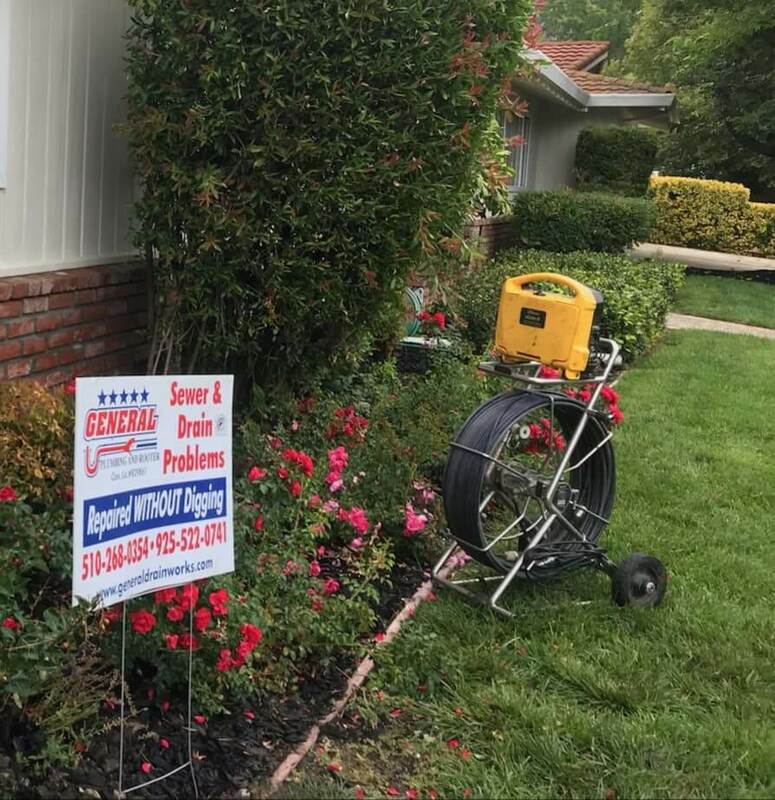 As the leader in Contra Costa County pipe cleaning and sewer repair, we want to make sure your drains and fully functional throughout the year. We work tirelessly to keep your pipes free of harmful issues that disturb your East Bay home or business’s daily function. Contact your local East Bay sewer and drain professionals today for more information.